Ann Kiguta moved from Capital FM to KTN and now she is a senior news anchor at Citizen. Ann Kiguta is 30yrs old and she is the lastborn in a family of four. According to her, the boyfriend started beating her on the day before she made her debut on KTN. They shared a 3-year old baby at the time. Ann was left with marks on her face just hours before she was supposed to appear on KTN’s set for the first time, but she put makeup and soldiered on with the job at hand . Before the KTN news began, she went to the hospital to treat her wounds, then dropped a statement at the police station. She confided in Beatrice Marshall about the whole issue, and despite all that was going on, she was exceptional on her first Prime Time appearance. It was hard for Ann to leave the boyfriend, as they had a baby together, but according to her, the beatings kept coming and eventually she decided to move out. She was supposed to walk down the aisle in 2014 but she called off the wedding after she discovered that the man she was dating Steve Ngunyi was cheating on her. Plans were already underway for the two to wed early in February 2014. Anne Kiguta has a pretty girl who is the spitting image of her. Sources close to the news anchor revealed that she has found love and is dating a high-profile man, Jomo Gecaga who is the Chief of Staff and the personal secretary to President Uhuru .Gecaga previously worked as a First Officer at the Ministry of Foreign Affairs. 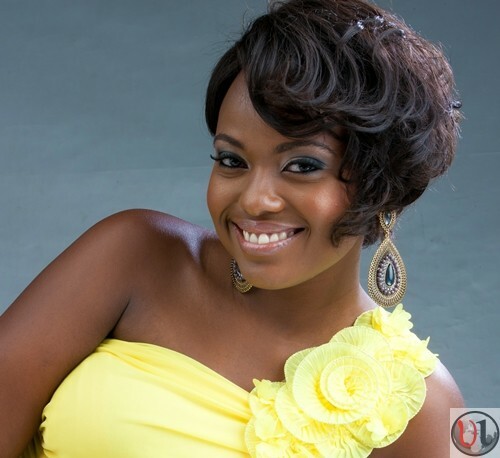 Citizen TV’s ANN KIGUTA is pregnant; we reveal the name of State House official behind her pregnancy. Lilian Muli- Biography, Age, Husband, Marriage, Wedding, Son, Battered, Divorce, Ex-husband, Moses Njuguna Kanene, Jared Nevaton. Lulu Hassan- Biography, Marriage, wedding, Husband,Children, Career.